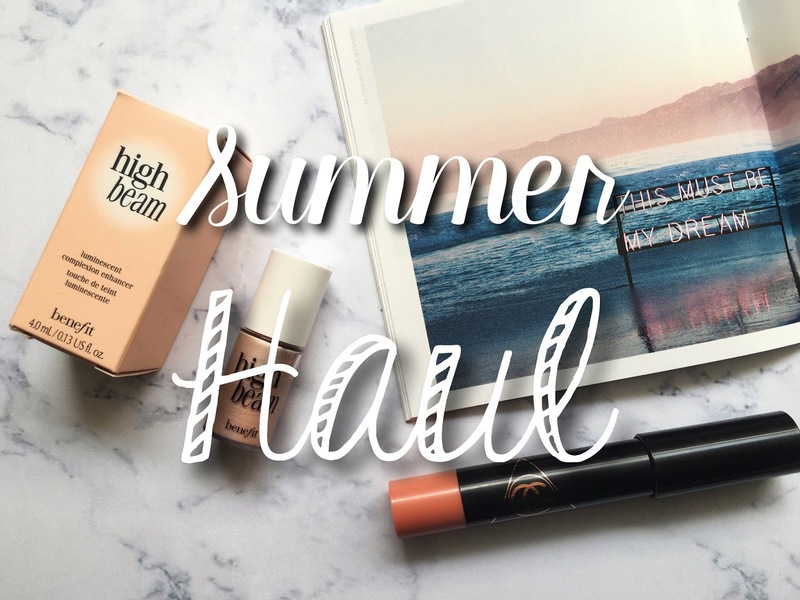 Recently I have been on a couple of shopping trips and bought quite a few lovely items I thought I would share with you in a haul post. I went to Cheshire Oaks outlet a few weeks ago and picked up a couple of things there. I love Cheshire Oaks because you can get some really nice things fairly cheap. I first of all went to the Cosmetics Company Store and bought a MAC Ellie Goulding patent polish lip pencil in the shade Revved. I was so excited to see it there because I really wanted to find another item from Ellie's lovely limited edition range. It's a beautiful coral shade and it's so moisturising. It feels amazing to wear so I'm really glad to have picked it up. The other item I bought while I was at Cheshire Oaks is my Michael Kors bag. Because it was sold at an outlet store it was over half price the RRP. 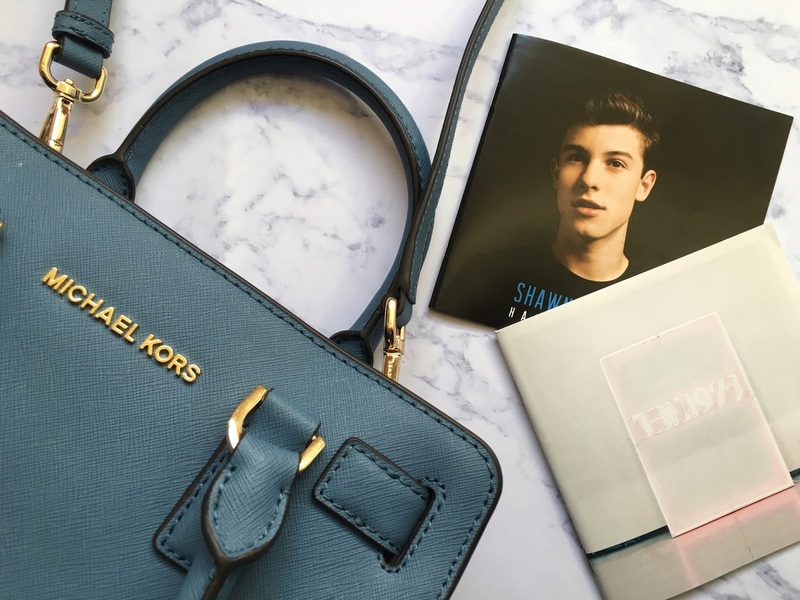 I have wanted a Michael Kors bag for a couple of years now, especially a blue one so I was over the moon to find this, I'm still really excited that I own it. The other items in my haul I bought on a trip to Manchester. The first two shops I headed to in Manchester was my favourite clothing stores, Hollister and Jack Wills. I knew both of these shops had sales on so I was really excited to see what they had in. In Jack Wills I purchased this blue sweater for £26. I've worn this once already and it is so comfy. It's a really nice colour and for the price it was really worth it. I can't wait to wear this lots next winter. From Hollister I bought a blue and white striped tee for only £9. I am loving stripy tops at the moment and I think I'll wear this a lot during the summer. I then headed to HMV to purchase a couple of CDs. I picked up Shawn Mendes' Handwritten because I have been listening to this on Spotify for a long time now and I really wanted the physical copy. I also picked up The 1975's new album which I can't wait to properly listen to. My favourite song so far off that album is She's American. I finally went to Boots because there was a few makeup items I wanted to buy. After spending a while swatching products from the very busy NYX counter, I bought a soft matte lip cream in the shade 'Athens'. I have wanted to try the brand NYX for quite some time now and I'm very excited to own a soft matte lip cream. I also picked up the Rimmel Sculpting Palette. 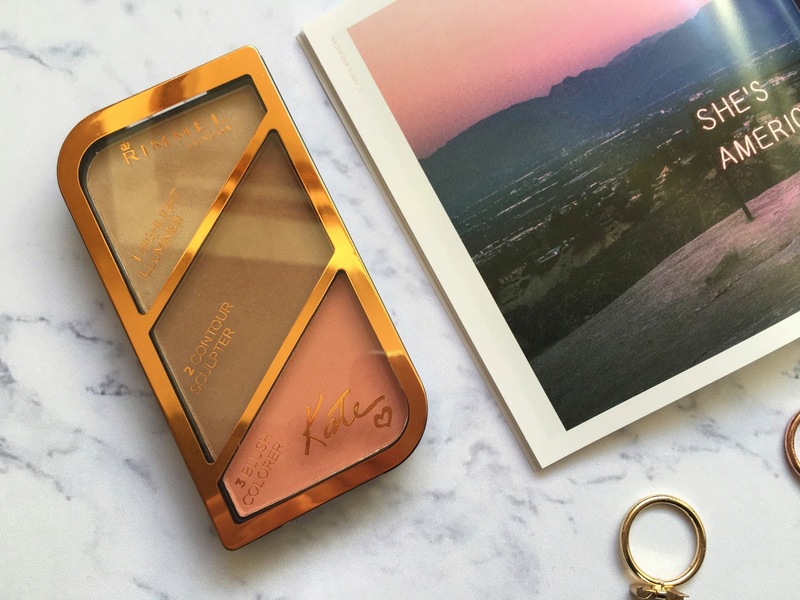 I really wanted a cooler toned bronzer for contour and this palette looked really good so I can't wait to give it a try. 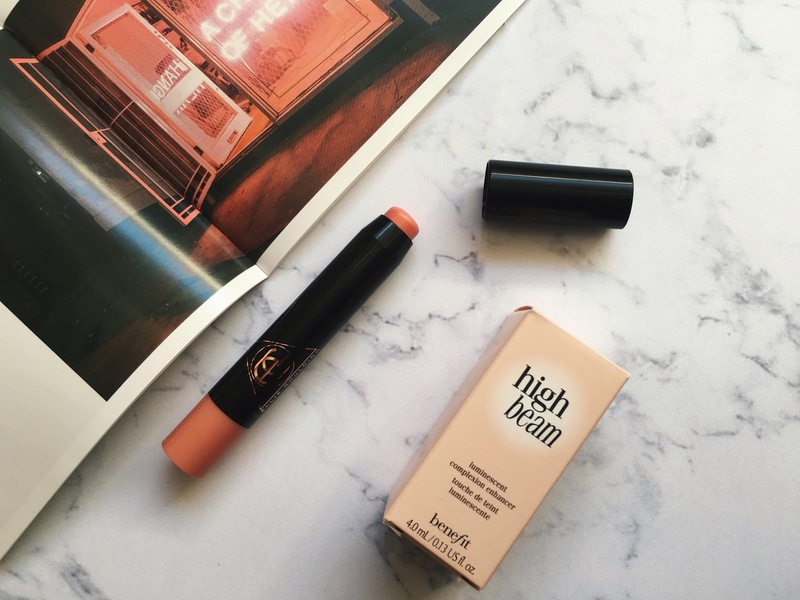 The last product I bought was a mini Benefit high beam for £5. On my way to the tills I spotted the Benefit minis stand and because my high beam has pretty much ran out, I really needed to buy a new one so I thought the mini size would be perfect for now. I love that benefit brought out those minis, they are so cheap and seem to last me ages. 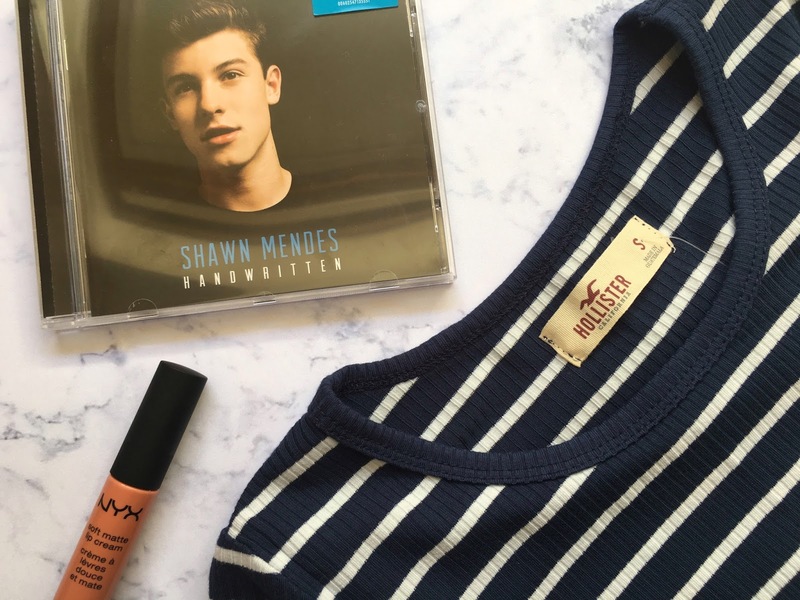 That hollister top is also really cute - i love anything striped! Lovely haul! I'm a little envious of all that you got, I may have to pop into the shops to pick up a few of these. Great haul. I love NYX's lip creams! I definitely need to try High Beam. 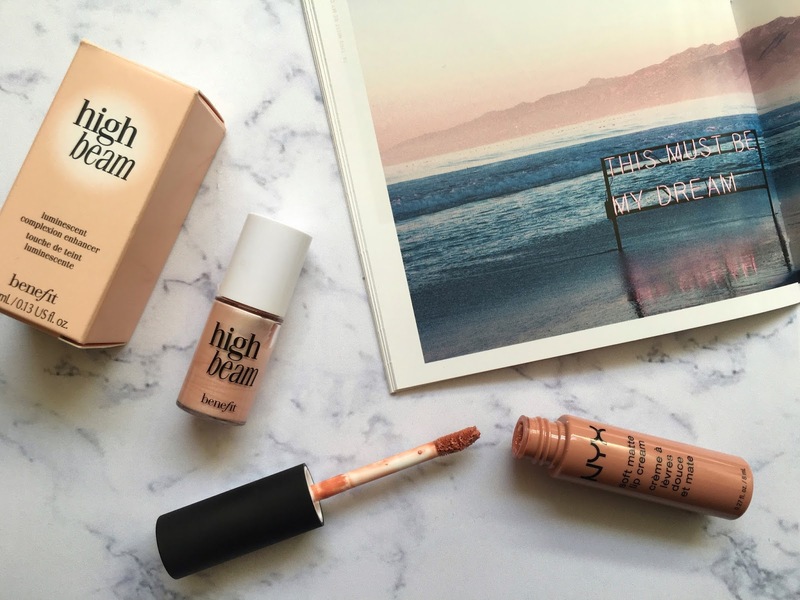 high beam is one of my absolute faves, i use it all the time! 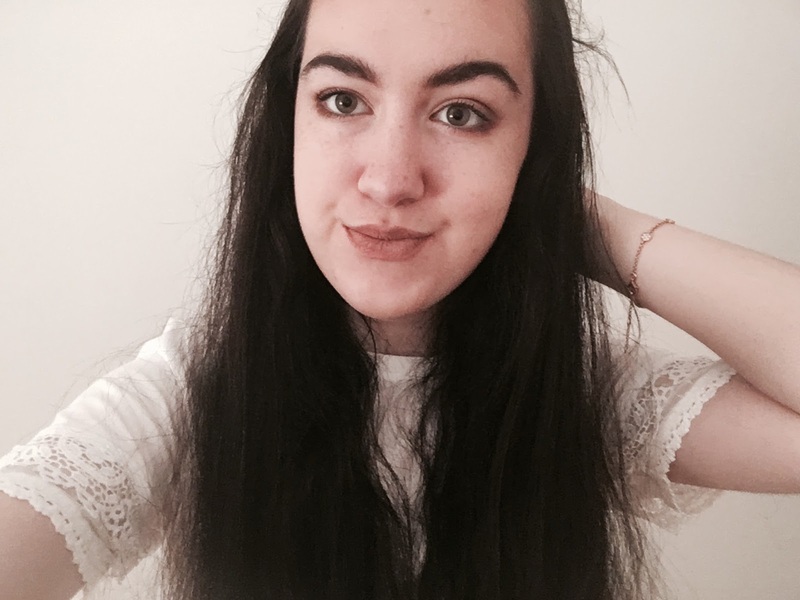 I love your purchases, this has really made me want to go on a shopping trip!